We are offering Electronic Safe Locker to our clients. 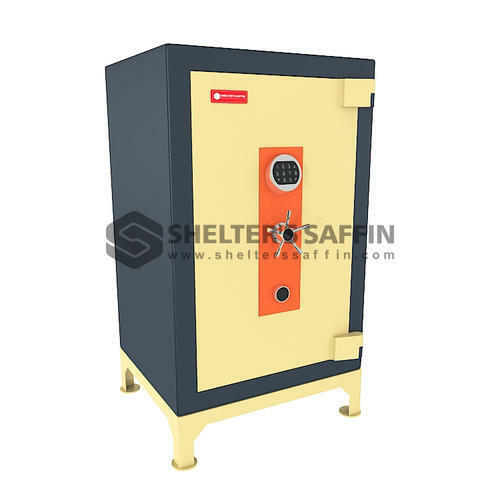 Established in the year 2009, We, Shelter Security Systems, are the Manufacturer, Wholesale, Trader of Strong Room Door, Safe Locker, Cabinet Locker, Safety Locker, Deposit Locker, Cannon Safes, Electronic Digital Safe and much more. Manufactured as per the industry set norms and regulations, these security systems are used in various banks, shops and corporate offices. As per the specifications provided by the customers, the offered security systems can be customized. Owing to their sturdy construction, complex security settings, superior strength, high capacity and unmatched durability, the offered security systems are highly appreciated among our customers. We offering our products under the brand name of shelter. Spread over an area of 50,000 square feet, our infrastructure is well-equipped with latest tools and equipment required for carrying out standardized production. In addition to this, our infrastructure is upgraded at regular intervals of time to meet the diversified needs of our ever-changing market trends in the most efficient manner.